Powerhouse is a novel concept of a super store featuring the latest in Electrical and Electronic Products, High Quality Lights and World Class Building Materials. The prime objective of Power House is to provide an interactive environment where customers can buy electrical, electronic and building products along with the lowest competitive prices and the best service. Powerhouse is focused on building and maintaining customer loyalty by providing customers with the latest technology, quality products, competitive prices and backup with sales support. It aims to enable customers to find the best product with the best services and in turn create customers that trust in its pricing philosophy. This attitude allows Power House to provide the special service expected by each individual customer that walks into our store. 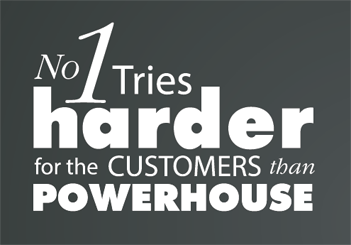 "No one tries harder for the customers than Powerhouse"
There is no better way to understand the benefits of electrical products than seeing them in action at a Powerhouse Display Centre. Each outlet offers the very latest in electrical products and the home control experience. Visit Powerhouse so you can experience first-hand our unique selection of electrical and wiring accessories, the latest in home automation, the outstanding in communication solutions and the remarkable in building solutions and let Power House people show you how they can create the same experience in your home.